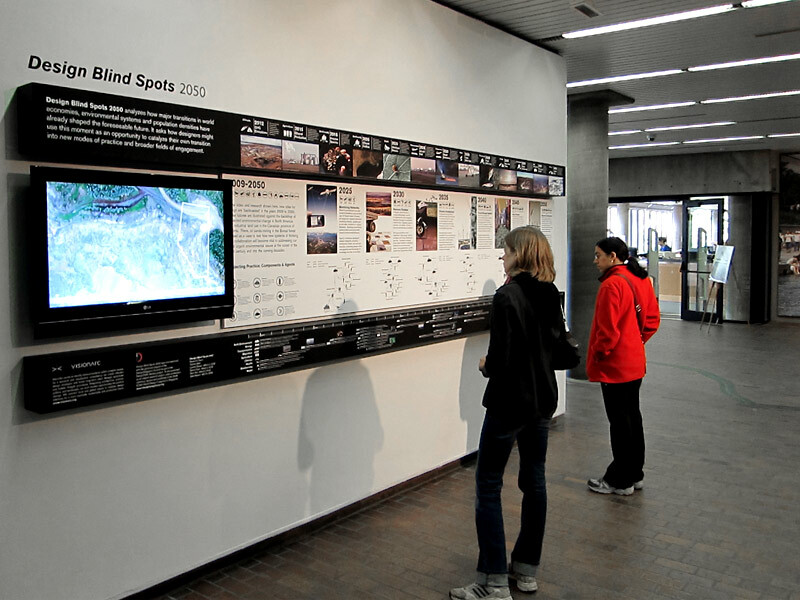 On October 6th the Harvard Graduate School of Design will present an installation of the VisionArc’s Design Blind Spots 2050. 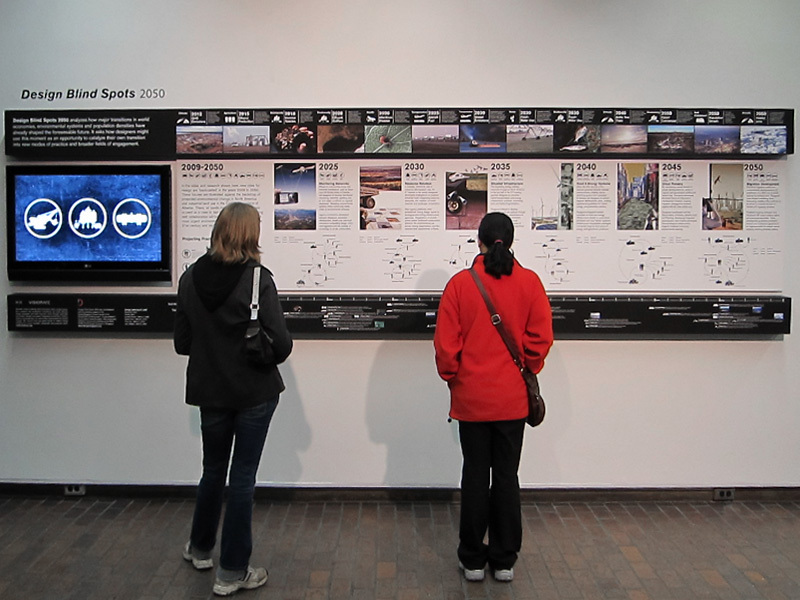 Commissioned last year by the DesignSingapore Council as an original research project, video production, exhibition, lecture and workshop, it was previously shown at the 2009 ICSID World Design Congress in Singapore. 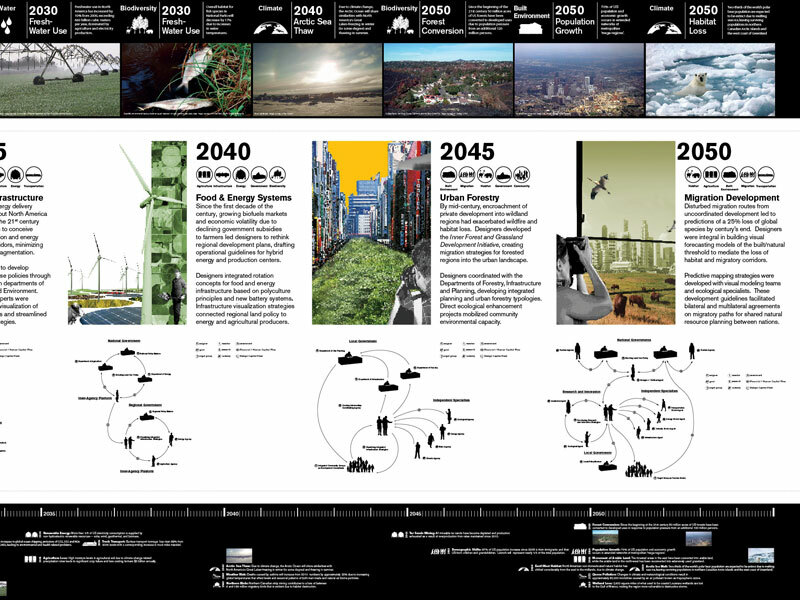 Design Blind Spots 2050 analyzes how major transitions in world economies, environmental systems and population densities have already shaped the foreseeable future. It asks how designers might use this moment as an opportunity to catalyze their own transition into new modes of practice and broader fields of engagement. 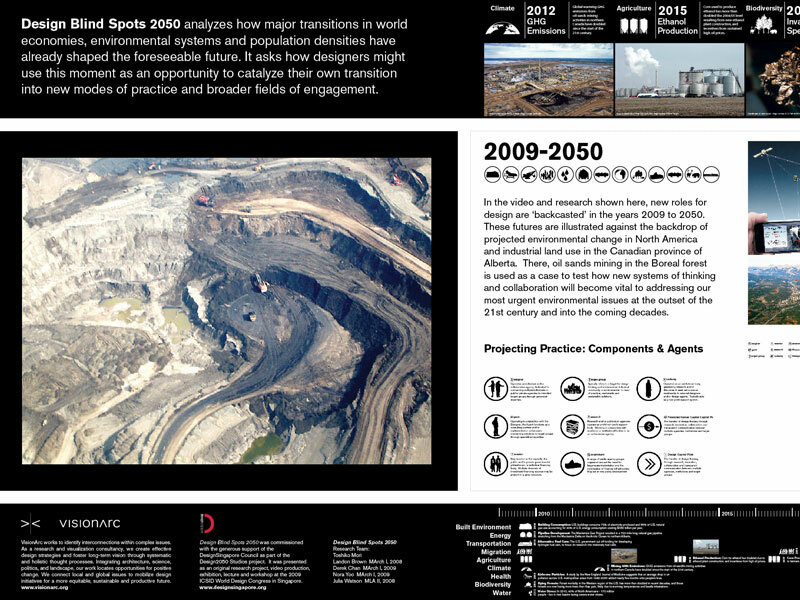 The video production of Design Blind Spots 2050 presents a further imagining of this future by ‘backcasting’ the potential role of designers within the interconnected complexities of industrial land use in the Canadian province of Alberta. 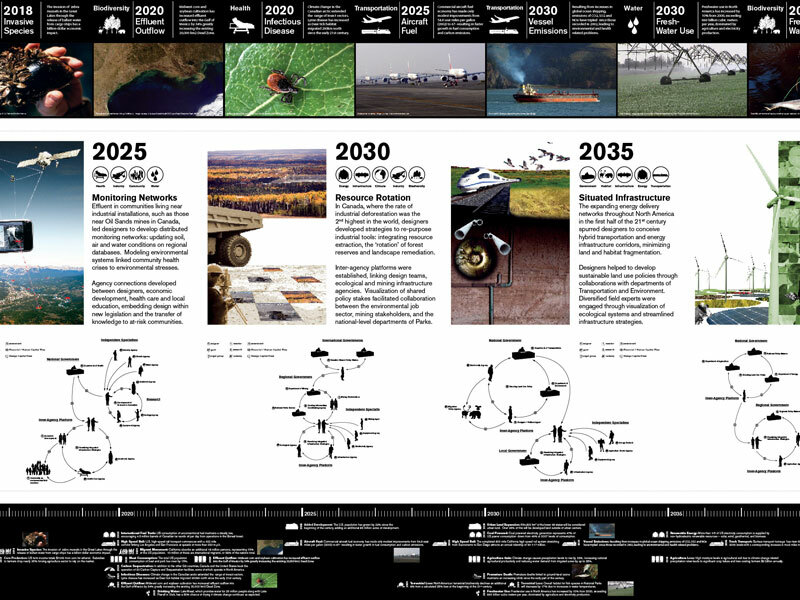 Here, Oil Sands mining in the Boreal forest is used as a case to test how strategic design will become vital in addressing some of our most urgent environmental issues at the outset of the 21st century and into the coming decades. The installation will run until the end of October and can be viewed in the Gund Hall Gallery at the Harvard University Graduate School of Design, 48 Quincy Street, Cambridge, MA.